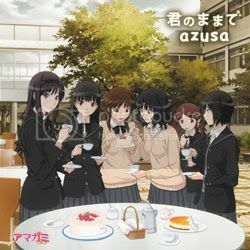 Multiseven et Cetera: OST: Amagami SS "Kimi no Mama de" & "Koi wa Mizu-iro"
OST: Amagami SS "Kimi no Mama de" & "Koi wa Mizu-iro"
Do you watch the Amagami SS anime? If you do, then I guess all of you've noticed that this anime has 8 theme song: two opening themes and six ending themes; each ending theme is sung by the voice actresses of the heroines in the series in their respective story arc. Yesterday, the full version of the 2nd opening theme and the 4th ending theme were officially released into the market. They are "Kimi no Mama de" sung by Azusa and "Koi wa Mizu-iro" sung by Yukana. 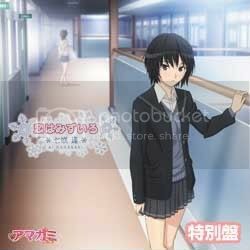 If you are interested with both of the songs, you can check them out at Amagami SS official anime site. Here is a link for their goodies page if you want to find more details about it. All credits belong to the artists. Thanks to aurediv for uploading the videos.